It is easy to think that branding does not apply to physiotherapy, but the truth is that every product or service out there needs to have strong branding to stand out. Let's take a look at some of the key steps in creating a strong brand for any physiotherapy clinic. 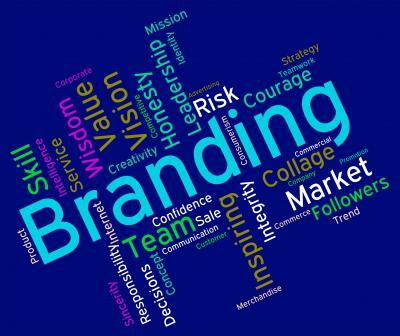 What is Branding in PT Terms? When you think about a brand, it is likely that your initial thought turn to marketing machines like Coca-Cola, Apple and Nike. It can be difficult to relate your small physiotherapy clinic to such big names, so what does branding actually mean in terms of your clinic? In short, branding your clinic means defining what you stand for and helping your patients to connect with you and your services. It is all about making your PT clinic part of the local community. The first step in successfully branding your physical therapy practice is to think about what your clinic represents. It is not enough to simply say 'we provide excellent physical therapy service'. You will need to think about other values. Do you offer leadership in the industry? Are you a specialist in sports related injuries? Once you have pinpointed your core values you can write a mission statement which will present your clinic's values and goals. One of the most important aspects of branding your physiotherapy clinic is making it stand out in an industry which is highly competitive. One of the ways that you can do this is by identifying your strengths and making those one of the key focuses of your brand. Avoid making generic statements about your services; instead try to highlight the areas that you would like to present yourself as an expert in. This could be a particular branch of physiotherapy, or it could be a new, cutting edge technique that you specialize in. Once you have settled on your brand and you know what you want your message to be it important that you promote it consistently. This means that if you are using many different channels; for example if you are using your blog, Facebook, Twitter and other channels; then you need to make sure that you are sharing the same message across all platforms using a similar tone. Creating a unique and identifiable voice for your brand can help to achieve this consistency. Finally, you will need to work on promoting your clinic's brand, keeping in mind that this could take a little bit of time and effort. This can be done in a variety of ways including email marketing, search engine marketing and social media marketing among others. However, an important point that many physical therapy clinics seem to forget is that all of the staff need to be familiar with the brand so that everyone working within the clinic is on the same page. For example, if one of your brand characteristics is that you offer excellent customer service, then you are going to need your staff to be on board with that at all times! Spend some time training your staff before you launch into a full on brand marketing campaign for the practice. These are just a few basic tips for creating a brand, but hopefully they will help you to develop or strengthen your own brand. Here at Patient Sites, we have a range of great features that can help you with your website, newsletters and social media marketing – all important parts of sharing and promoting your brand. Take a look at some examples from our existing clients to see what we could be doing for you and your physiotherapy clinic.